one or more of the chemicals, which could explain some of their behaviors. Dopamine makes us jump for joy. 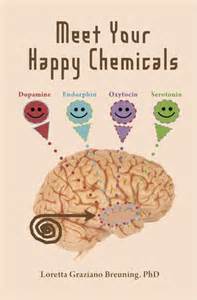 Dopamine feels great so we try to get more. It rewarded our ancestors’ will to explore. Endorphin helps us to mask pain. Our ancestors survived from predator attack because endorphin caused them to feel good. Exercise triggers endorphin so we can safely reach home. Laughing or crying triggers it too. Serotonin is stimulated by the status aspect…the pride of associating with a person of a certain stature. It triggers our need for respect. Oxytocin is stimulated by touch and by social trust. It flows when we stick with the herd and create social bonds. Herds protected our ancestors from harm. In my WIP, Norman in the Painting, my protagonist, Jill, has a need for more dopamine and endorphin. Her inner fears cause her to love running. Her goal is to run three miles every day. The endorphin rush makes her feel safe. Her lack of dopamine causes her to have no desire to explore. She spent most of her years close to her hometown and has no interest in travel. I’ll make sure she will produce more dopamine that will help her grow in her character arc. The antagonist has a severe deficiency in oxytocin and serotonin. Does your character have a chemical deficiency? Jack Heffron’s The Writer’s Idea Book, p.229, a prompt involves showing an aspect of a character’s personality that readers haven’t seen before in the novel. For example, if a character has been kind, considerate, and does everything right, show the opposite in a crucial scene. 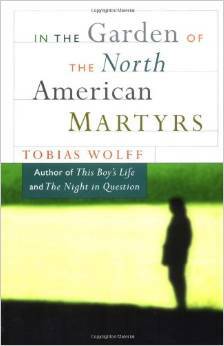 I highly recommend Wolff’s story. I read it years ago. Thanks to Jack Heffron for not only reminding me of that story but giving a prompt for deepening our character with a surprising aspect of personality. Jill, my protagonist in Norman in the Painting, has a fear of taking risks. She went to the university closest to her hometown although she was accepted in several that were in different states. She wasn’t afraid to leave her parents or to leave her few friends. The small town in the story is a character and that familiar setting is security for her. It’s thirty miles from San Francisco, but she’s never been across the bay. Her parents and sister, involved with the small town’s politics, told Jill the city was unsafe, and had no redeeming qualities so why bother to go there? Gullibility is another of Jill’s flaws. The one time Jill took a risk was in marrying a charming stranger who came to town and who, a year later, tried to kill her. Part of her character arc is to overcome her fears. In Chapter 18 that I’m writing now, Jill comes to the realization that her fears have prevented her from moving forward in life. However, the risks she now takes will put her and everyone she knows in danger. What are your character’s flaws and fears? When writers write characters’ habits, they can show body language like rubbing a nose, flipping long hair, etc. Habits can include lucky objects that a character uses before a challenge like a rabbit’s foot or a special crystal, penny, or any number of choices. In my novel, Norman in the Painting, I wanted Jill, the protagonist, to have a habit that she could rely on to put her at ease. When she was growing up, her parents favored her older sister and wanted Jill to be like Vivian. Arguments often occurred during dinner hour, which for them, was 6:00. One way she survived, was to leave the room after dinner, go to her room, and turn on TV. Jeopardy, with Alex Trebek at 7:00 became her comfort zone. She could depend on him, six nights of the week. The program took her mind off the parents’ high expectations of her and their disappointments by seeing how many Jeopardy questions she would answer correctly. I’ll have to find the right place to intersperse that bit of backstory. 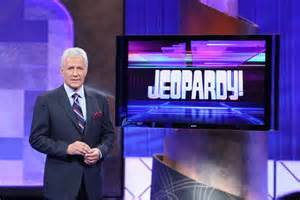 In the novel’s time frame, she continues to watch Jeopardy to avoid an altercation with her sister on a stormy night and another time when the antagonist threatens her. Following the power of three (repetitions), I will add one more time that she will rely on Trebek. How did you determine what to name your characters? Did the names just pop into your head? Did you change the names often? Did you look up their meanings? The names I had chosen for the novel a year ago fit the meanings I found today. The protagonist, Jill, means sweetheart, which she is. Her sister, Vivien, a complete opposite of Jill, means full of life. Viv is an extrovert compared to Jill so it fits. Their last name is Steele, hard and durable as steel, a perfect name for Jill’s parents and sister, but not for her. However, she has felt like a misfit in the family, so it works. Reginald, the antagonist, has a few meanings. The one that fits is mighty ruler, which is what he acts out, but in criminal ways. Jack, an immature friend of Vivien’s, purposely annoys Jill and her friends. The link stated Jack means a supplanter. It comes from the verb supplant and means “to trip up or to overthrow.” In Jack’s simplistic way, it’s what he does all day long. 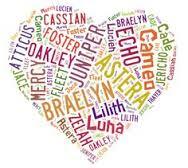 If you aren’t a writer, it’s interesting to learn the meaning of your name or names of family and friends. I didn’t have time to check other sites. I doubt if the meanings are consistent, but probably close. What do the names of your characters mean? Is Your Character Addicted to Being Right? If any of your characters are addicted to being right, they would rather be right than happy. They have to have the last word in an argument and proving their point of view takes precedent over listening to others. Even after being shown they are wrong, they still search for ways to prove their point of view. Characters that are always right are often eloquent, but they actually are stuck. Their focus is on making sure the other character understands why they are right. They explain over and over because they think the disagreeing character doesn’t realize why they are right. They need approval and appreciation. They have to be in control. Low self-esteem and a lack of open-mindedness and willingness to listen to others’ beliefs underlie the need to be right. Contrary ideas frustrate them. 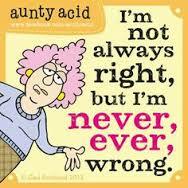 Being right all the time is tiring. It demands an ability to distort facts, to make excuses, to delude themselves and to blame others. In my multidimensional mystery novel, Norman in the Painting, Reggie, the antagonist, is addicted to being right and he will threaten and kill to be in control. Jill was attracted to his eloquence until, too late, she discovered his flaws. Do you have a character addicted to being right? Information from Louis A. Tartaglia, M.D. Flawless! Posted on November 28, 2014 Categories CharactersTags characters, flaws, Julaina Kleist-Corwin, Norman in the Painting, novels, writing2 Comments on Is Your Character Addicted to Being Right? What Kind of Apple Does Your Character Like? What kind of apple does your character like? The preference might not seem important but it adds the sense of taste and personalizes your character. It’s a detail that can add some depth. Another point to consider is the popularity of different apple varieties over the last few decades. Red Delicious was the top choice in the 1950’s and 1960’s. 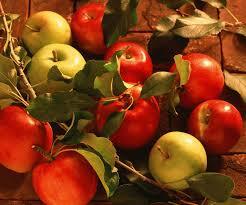 If your character is living in those years, they probably would eat a Red or Golden Delicious apple. Because the Delicious flesh is often mealy or mushy, the Gala became a favorite for it’s crisper and juicier texture. After the Galas, Fuji, with its dense, crisp, and sweetly tart taste was the biggest seller. Next came the Honey Crisp with a sweeter taste that has been my favorite. Today new varieties are available such as Jazz and Envy, although harder to find, Envy is equally as good as the Honey Crisp. I consider my characters’ ages and personalities to pick a type of apple for them. Hada and Lev in Hada’s Fog, because they are in their 70’s, would eat Red or Golden Delicious and then complain that the ones they bought were mushy, but the couple resists change to a crisper apple. Jill, in Norman in the Painting, would prefer Honey Crisp and Reggie, the antagonist, would buy Jazz apples. Arctarius, the mysterious character, might choose a Fuji. Apples may not enter the story at all, but they are an addition that could enhance it. What kind of apple does your character prefer? Posted on November 27, 2014 Categories CharactersTags apples, characters, Hada's Fog, Julaina Kleist-Corwin, Norman in the Painting, sense of taste, writingLeave a comment on What Kind of Apple Does Your Character Like?